The Colorado Coalition for Genocide Awareness and Action (CCGAA) considers President Donald Trump’s recent Executive Order 13769, “Protecting the Nation from Foreign Terrorist Entry into the United States” to be a step in the wrong direction. While we recognize the right of the U.S. government to establish an effective and dynamic immigration policy, and the right of the President as Executive in Chief to direct the government in establishing an immigration policy, we as American citizens do not, and should not accept public policies that lead us to bias, fear, and hatred toward others on the basis of their religion, nationality, or beliefs alone. The United States of America led the effort to enact the 1948 United Nations Convention on the Prevention and Punishment of the Crime of Genocide. Yet it is has been our collective failure to completely prevent hatred abroad, which in turn has brought that very same hatred home. Many times since 1948, we have witnessed other nations move in the direction of bias and fear as a means to address their perception of threats to their national security. We Americans have been witness to governments that rely on such fears to take irrational actions and deprive their citizens of their Human Rights and their Human Security as defined by international conventions adopted at the urging of the United States. In the former Yugoslavia, Rwanda, and Sudan, for example, we saw actions that criminalized and dehumanized “the other” based on ethnicity, nationality or creed. These circumstances were but a short step away from the bias and hatred that unleashed unspeakable Genocidal Acts as defined under the 1948 Convention. 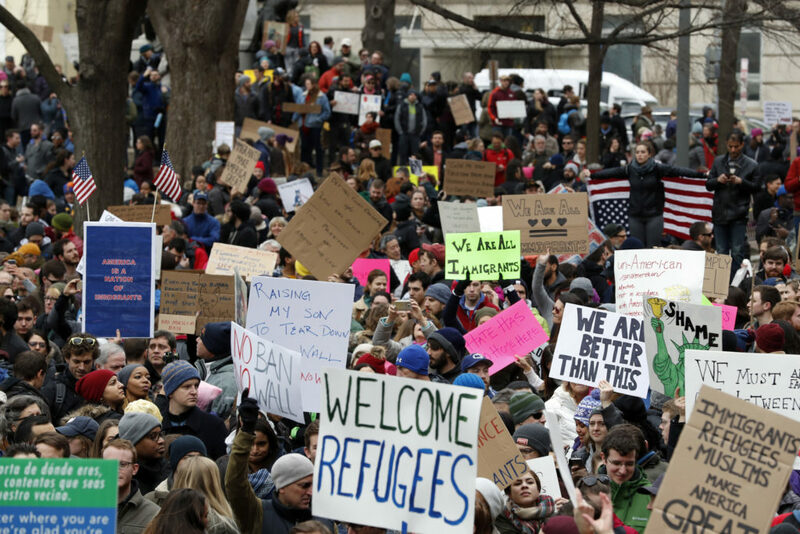 The United States has a long and proud history of welcoming refugees and of vetting them through a process that effectively protects our national security. We at CCGAA embrace that history as Americans, and we embrace the United States of America’s resolute and public commitment to our Responsibility to Protect the rights of our own citizens and others under internationally recognized treaties. We must continue to do so via all legal means available in accordance with our dual security responsibilities, both national and human. To do otherwise is to place the fear and xenophobia above the needs of the very same individuals the nation has pledged to protect. Thanks for posting this, Evan. Human rights are part of our support for humanity.